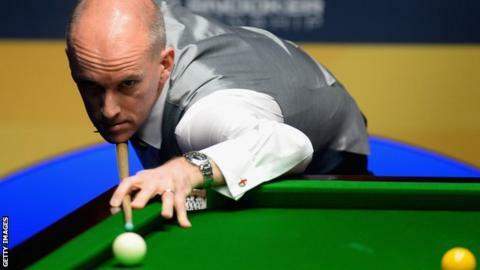 Peter Ebdon has failed to qualify for the World Championship for the first time since turning professional 22 years ago. The London-born former world champion, 43, lost 10-8 to Robin Hull in the final qualifying round. Ebdon won the title in 2002 and was runner-up twice but was edged out by the Finnish world number 122. Former champions Steve Davis,Mark Williams and Graeme Dott have also failed to reach the first round proper. Hull, whose only previous experience of the finals at the Crucible Theatre came in 2002, held off a fightback from Ebdon after taking a 9-6 lead, securing the match with a break of 57. The 39-year-old retired from the game in 2008 due to a heart complaint but returned to competition three years later. "I am so happy," he said. "I am enjoying playing and enjoying competing. The last time I was here was the year Peter won it. He has had a great run of 22 years so I am just so happy to beat him." Ebdon beat Davis in his first match at the Crucible in 1992 and lost to Stephen Hendry in his first final four years later. He beat seven-time champion Hendry 18-17 to claim his only world title in 2002 and was also a runner-up to Dott in 2006.